A native New Yorker and Family Physician with 30 years' experience working with underserved communities in the Bronx and Philadelphia. After graduating from the Albert Einstein College of Medicine, Dr Deen completed an internship and residency in Family Medicine at Montefiore Medical Center’s Residency Program in Social Medicine. Deciding as an undergraduate student that he wished to teach nutrition to physician. He obtained graduate training at Columbia University College of Physicians and Surgeons Institute of Human Nutrition before attending medical school. He began teaching nutrition while still a medical student and has been involved in teaching students, residents, and faculty on local, regional and national levels. Recognizing the central role of doctor-patient communication in helping patients adopt healthier diets, he has studied and taught models of behavior change counseling and helped to develop and teach patient engagement and activation. His career has been devoted to training primary care clinicians for urban practice. 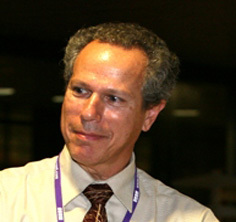 Prior to joining the Sophie Davis community he was the Director of Medical Student Education for the Department of Family and Social Medicine at the Albert Einstein College of Medicine. Dr Deen has post-graduate training in Mind-Body Medicine, Meditation, Lifestyle Medicine, Acupuncture, Health Coaching, and Functional Medicine. He is board certified in both Family Medicine and Integrative and Holistic Medicine. Here at the CUNY School of Medicine he teaches lifestyle medicine, nutrition, health coaching, and medical interviewing. He has authored numerous scientific publications, edited the Complete Guide to Nutrition in Primary Care, and written nutrition books for lay audiences with my nutritionist partner Dr. Lisa Hark. In addition to medical education, his interests include health disparities, social justice, integrative pain management, improving physician-patient communication, stress management for patients and professionals, medical student resiliency, and self-reflection as a learning technique. Kulick D, Deen D. Specialized Nutrition Support Amer Fam Phys 2011;82(2):173-183. Lu, WH, Deen D, Gold MR. Activating Community Health Center Patients in Developing Question-Formulation Skills: A Qualitative Study. Health Educ Behav accepted 2010. McKee D, Deen D, Blank A, Maher S, Fornari A. Lessons Learned from Implementation of a Family-Focused Lifestyle Change Intervention in Urban Primary Care. Patient Education & Counseling. 2010;79(3):299-305. Kulick D, Hark L, Deen D. Follow-up after Bariatric Surgery: The Role of the Dietitian. J Am Diet Assn 2010;110(4):593-599. McKee D, Deen D, Blank A, Maher S, Fornari A. Lifestyle Change Counseling to Prevent Obesity Among Preschool Children. Ann Fam Med. 2010;8:249-255. Maranda M, Deen D, Elshafey S, Gold MR. Response to a Patient Activation Intervention among Spanish-speaking Patients at a Community Health Center in New York City. Journal of Health Care for the Poor and Underserved 2014;25(2):591-604. Lu, WH, Deen D, Gold MR. Activating Community Health Center Patients in Developing Question-Formulation Skills: A Qualitative Study. Health Education and Behavior 2011;38(6):637-45.